Visit our website for more info and updates. Sponsorships Due: Any businesses who would like to be included on the BCS PE/Track t-shirts, need to submit their forms, logos, and payments by this Friday, September 1st. Bookfair: Our annual Bookfair is coming, September 12th-15th! This is a great way to get kids excited about reading and to earn new books and supplies for our school! It's also an easy volunteer opportunity! 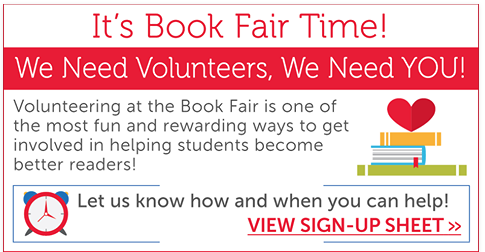 Check out our Bookfair homepage for more info and to sign-up! Submit Your Sizes: Parents, please return yellow t-shirt size forms by September 6th. This shirt is free for students, thanks to the above sponsors. It will be worn by 2nd-5th graders for PE, and all students for field trips and other designated days. Drop-off/Pick-up: It is very important that your child is ready to get in/out quickly and safely. There are a lot of parents to get through the line, so please be courteous of others, and do your best to have your child prepared. If your child needs more time/assistance, please pull up to the side near the dumpster, so the line can continue. Thank you! Parent Teacher Fellowship (PTF) is a great way for parents to connect and discuss ways to support our students, staff, and families! Please join us for our first meeting September 6 @11:45am in the library. Parents in Prayer also invites you to join us to pray for our school and anything that is on your heart. Please join us in the library for first meeting, September 21st @ 8:00am. If you can't be present, please consider setting an alarm and praying wherever you are. Amazon Smile: Have you switched to Amazon Smile for all of your Amazon shopping? 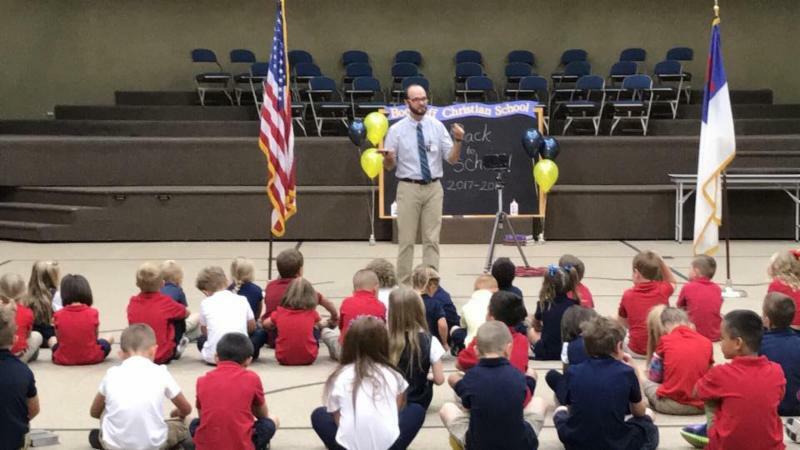 Select Bookcliff Baptist Church as your charity of choice, enjoy all of the same shopping options, and Amazon will donate a percent of your purchases back to the school! This is also an easy way for friends and family to support the school from anywhere in the country! Please register your your value cards or credit cards with BCS to earn kickbacks for our school every time you shop! Bring in your Box Tops for more easy fundraising for BCS! 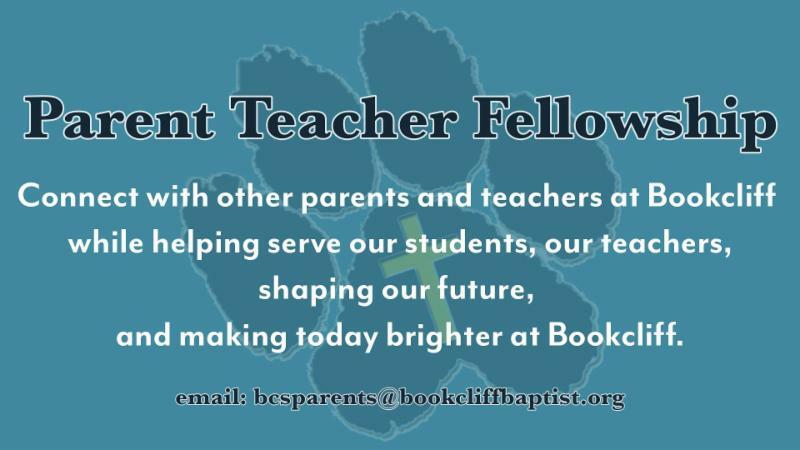 Email bcsparents@bookcliffbaptist.org for more information. Please make sure all of your child's items (jackets, lunchbox, etc) are labeled with their name. PE shoes are needed for all students on M, W, F. Shorts/leggins are always required under dresses and skirts. Pizza is served every Friday. veggies Your child may order 1-2 slices of cheese or pepperoni pizza each Thursday, for $4.00. They may bring cash or have it billed to your account. Your child may wear jeans and a uniform or school shirt on Fridays. The last Friday of each month is free-dress day. Follow us on Facebook for more reminders and updates! Sept. 8th - Bronco Day & National Teddy Bear Day! 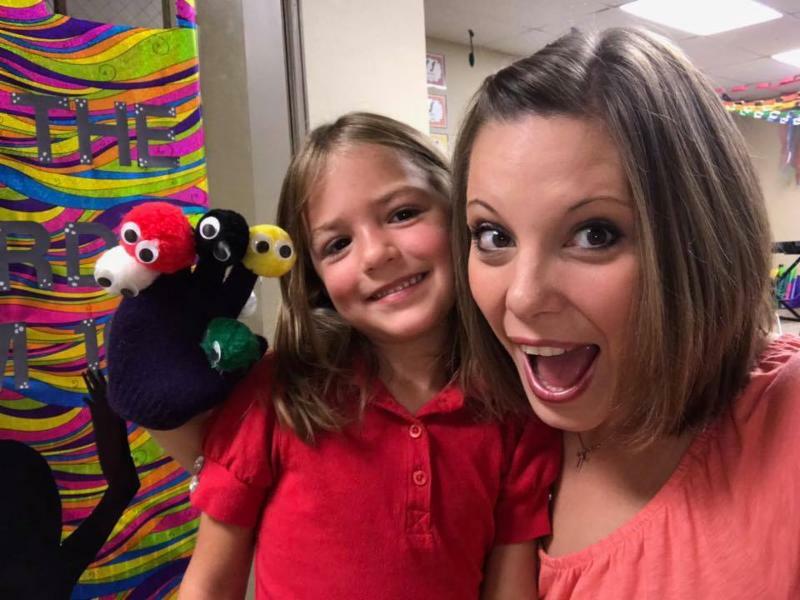 (students may wear their favorite sports team, and bring their favorite stuffed animal. Visit Our Online Calendar for More!